Come with skates, sneakers, helmet and a good attitude. 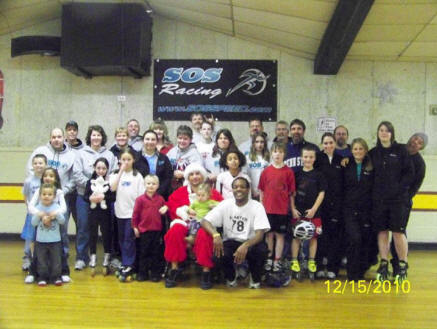 of the nationally ranked SOS Inline Speed Team. We are coached by national champions John and Stacy Ristine. We have skaters aged 4-60+, brand new, and national elites practicing with us. come check us out during one of our practices! Inline Speed Skating is only a practice away.